I’d been hearing ‘The House of the Rising Sun’ in folk clubs in Newcastle when I was about 17 or 18, from people who only knew one or maybe two verses and the guitar intro. 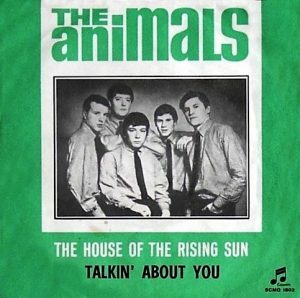 But the Animals’ UK tour with Chuck Berry in 1964 was the reason why we recorded the song. There were a few other bands on the bill, and they were playing Chuck Berry music as well. I just felt that everybody would be trying to out-rock Chuck Berry — and what was the point in that? So the challenge was to come up with something that wasn’t in that vein. We’d been playing around with ‘The House of the Rising Sun’ for a while, and I thought: “Wow, that’s got to be our way out.” We were due to close the first half of the show — because in those days you had intervals — and we thought that if we could do something that made people leave the theatre remembering something different about us, then we’d be ahead of the game. It worked, it went down really well, and in the middle of the tour we decided to cut it in the studio. So we offloaded our instruments after a gig, put it all on the milk train, and arrived in London in the wee hours of the morning. We liberated a British Railways luggage handcart and put all the equipment on it and hauled it through the streets of London. It was a Sunday and there was nobody there; it was like a scene from The Day the World Ended. Actually, we were assailed by a British Railways guy. He said: “You can’t take that — it belongs to British Railways!” He charged us £25 in the end, I think, for the handcart. So we set up in this small studio — De Lane Lea studios [in Kingsway, London WC2] — and got some levels, much to the shock and surprise of the engineer, who had never recorded anything electric before. We did two takes, and that was it. The earlier version by Bob Dylan had come up with more lyrics for the song than I’d ever dreamt existed. We had to cut back on Bob’s lyrics to make it work as a mere single, because it would have been way too long for any radio station to consider. Also we were up against the subject matter, which was kind of off-colour for the radio — prostitution. But I did that male-female switch-over — made it “the ruin of many a poor boy” instead of “girl” — which didn’t seem to bother people. It didn’t bother me, because years earlier I’d spent a lot of time in Paris looking at the activities of prostitutes on the street, and I realised that the “john”, the client, is himself just as socially damaged as the prostitute is. 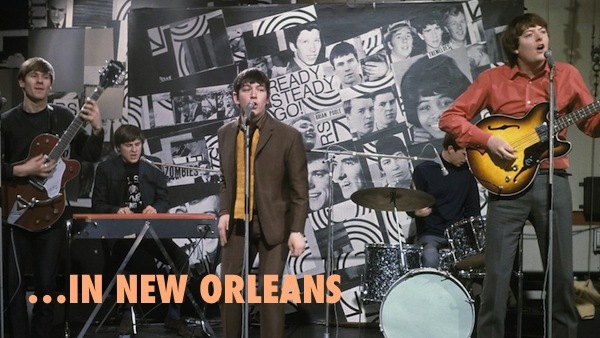 I was quite comfortable with the idea of a young man leaving the industrial north of America and speeding down to New Orleans, where all was accepted, and losing himself completely. There’s been a lot of speculation about the song’s origins. It’s interesting — it’s not a 12-bar blues chord sequence; it’s not even a blues. I think it probably has its roots in a hymn. It’s in a minor key, and that’s what attracts people to it; it goes straight to people’s souls because of it being a church thing. A while ago, The New York Times did an investigation, and said a girl called Georgia Turner in the Appalachian mountains was the first to record it. Which would uphold my theory that musically it was a British or Irish tune that went across the Atlantic with the emigrants — because they went to the Appalachians and mined coal in the same way they had done in Wales and Ireland. They couldn’t afford the gasoline to come off the mountains, so it was a very insular society. The only people who had cars were the cops who were chasing the illicit whisky distillers. You see, the song conjures up so much: as soon as you start talking about it you’re into, first of all, prostitution and then moonshine already! I’ve tried many times to find the real House of the Rising Sun; I’ve had many journeys down dark back alleys in New Orleans. There’s an attorney there called Darlene Jacobs, who has the city records of the house she owns in St Louis Street, in the French Quarter. As they peeled away the paint to redecorate the main hall, they found a painting of three angels holding up the sun — a rising sun. That’s what made her start researching the history of the building. I’ve been there, and I think it’s the real place. Share the post "THERE IS A HOUSE…"